Wanda Austin grew up in the Bronx and became the president and CEO of the Aerospace Corporation, a nonprofit that contributes to national space programs. She currently serves as a consultant for the organization. When she was senior vice president of the Engineering and Technology Group, she led a staff of 1,000 engineers and scientists. Emmitt McHenry served in the Marine Corps and went on to graduate from Northwestern University. After working for IBM, he co-founded Network Solutions, Inc., one of the early leading Internet domain services providers. In 1995, he founded NetCom Solutions International, a telecommunications and engineering company that has won awards from both IBM and NASA. In 2011, Kimberly Bryant founded Black Girls Code, an organization devoted to teaching girls of color computer coding and programming languages. Through classes and programs, Bryant and the Black Girls Code team aim to give underrepresented girls better opportunities by introducing programming and technology to a new generation of coders. Gerald “Jerry” Lawson was born in 1940 in New York. Before attending college, he repaired televisions to earn money. In the 1970s, Jerry helped pioneer the first video game console with interchangeable cartridges (Think: precursor to Nintendo!) called the Fairchild Channel F. He was one of the few African-Americans who worked in computing during the time, and he paved the way for other popular video game consoles in the future. Khalia Braswell is a user-experience engineer at Apple and an active member of the National Society of Black Engineers. Khalia founded the INTech Foundation, which is a nonprofit organization with a mission to inspire girls to innovate in the technology industry. INTech has reached over 200 minority girls across North and South Carolina by hosting one-day camps, mini-camps, and a summer camp. 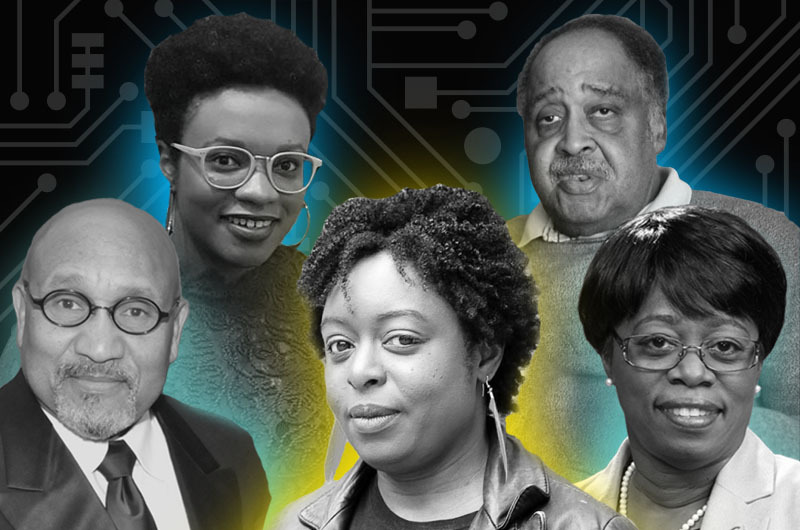 Khalia was listed as one of “10 Black Female Leaders in Tech to Watch” by Hackbright Academy.